I need a IWSG co-host for November 1! If you can help, please leave a comment. Fun Halloween Movies from RiffTrax! 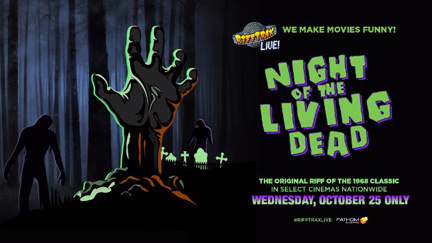 The next RiffTrax: Live is Wednesday, October 25 - Night of the Living Dead! We recently watched this one and the movie has not aged well. I don’t remember it being that bad. But that makes it ripe for RiffTrax fodder. If you’ve not seen them live, you’re missing a great time! Check showtimes at RiffTrax for a theater near you. If you’re in the mood for some scary movies, we recently watched a few from RiffTrax. Sadly, they will only scare you in how bad they are. Fortunately, Mike, Bill, and Kevin are there to bring intended humor to the films. A cast of stereotypical misfits trapped in a house and surrounded by giant spiders. Ray Harryhausen’s stop motion special effects will look high-tech compared to the effects here. Yes, it’s a SyFy movie. Yes, it’s horrible. And yes, apparently they hate us. A cast of stereotypical misfits on a boat looking for…well, they don’t know what they’re looking for and neither do we. Add creepy evil doll for creepy evil looking little girl. And John Huston. Someone must’ve had pictures of him with a donkey or something. A cast of stereotypical misfits…just kidding! Just Charles Durning and Carol Kane, in it for the money. Oddly enough, the stranger never calls. He just sneaks in and moves a few things around. Too bad he doesn’t clean while he’s at it. Season two of Stranger Things – October 27! Season eleven of The X-Files – January 2018! I came up with the core idea of the fantasy Season Avatars series—a quartet of women who have to work together to save their country from magical storms that mix up the seasons—about twenty-one years ago. I was single, between jobs, and living in another state. Since then, I’ve moved several times, worked four different jobs at two companies, got married, and had a son. The publishing world has also changed. Self-publishing wasn’t easy and was heavily stigmatized in the 90’s, but now it’s allowing me to fulfill a life goal: completing a series. Finishing a series carries a lot of mixed feelings with it. There’s relief that the story will be complete before you die and that readers won’t be left hanging for a resolution. There’s definitely a feeling of accomplishment, even elation. If writing one book is a marathon, writing and rewriting five of them is an Ironman and a half. Plotting across a series requires even more forethought than plotting (or pantsing) a single book. Certainly I’ll miss my heroines, but as I plan to write a spin-off series, they’re not gone completely. They’re adult children now, stopping back occasionally to visit and bringing new characters from their world with them. Writing “The End” is never truly the end, but another beginning. Kay might be the youngest, smallest, and least confident Season Avatar, but her weather magic makes her the most powerful of her group. Now that she also can contact the souls of dead Avatars, her quartet has a chance to end Chaos Season permanently. All Kay and her sister Avatars need are three more bones. 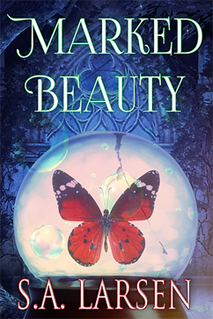 To obtain them, Kay’s quartet must travel across Challen, evading the King’s Watch and Selathens who want to protect their demigoddess, Salth, creator of Chaos Season. Kay’s deepest beliefs about her God and her longtime rival, Dorian, will be challenged during the trip. If she loses her faith and newfound courage, she will fail, and the rest of the Season Avatars with her. 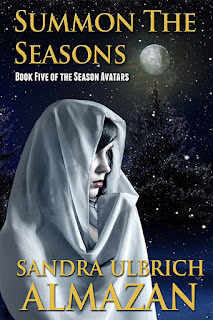 Sandra Ulbrich Almazan is the author of the SF Catalyst Chronicles and the fantasy Season Avatars series. She’s also a QA Representative, a wife, a mother, a Beatles fan, and a member of the 501st Legion, but mostly she’s very tired. This one is from Voyager, a pop-prog band from Australia. They are so underrated! These guys should be huge. An IED blew up more than Marc North's career as a Cobra pilot—it shattered his plans for marriage. Ready for some scary RiffTrax movies? Stoked about the next seasons of Stranger Things and X-Files? Have you wrapped up a series? Picking up some new books? Get the trivia right? 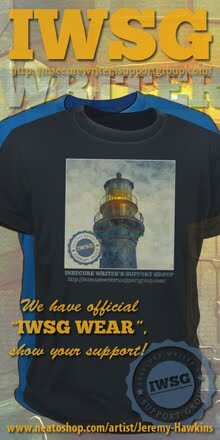 And have you entered the IWSG Anthology Contest yet? You have until November 1. And let me know if you can co-host next month. I’ll be offline this weekend but back on Monday with another guest and a slew of scary movie fun. 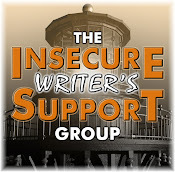 If you're still in need of a co-host for November IWSG, I'd be happy to help. Congrats to everyone with new releases. I can't believe the X Files is coming back for an 11th season. I remember when they first came on, lots of people believed they wouldn't last one season. Oh, my. Enjoy your time offline. I thought Night of the Living Dead was the scariest thing I'd ever seen, the first time I saw it (college?) I wonder what my reaction would be, now! The RiffTrax sounds fun. Congrats to everyone else with new releases! I'm too weak kneed for horror films, get nervous reading the books even, but can't keep away from those stories either. Pat, we both scored number one today. Mason, especially with the Friday night time slot. Followed by Sunday night. It was like they were trying to kill the show. A fun post Alex here in the UK ESPECIALLY iRELAND THERE'S A HUTTICANE onit's way. oh dear!!!!!!! A relief to finish the story before you die - LOL! I was glad to finish my series, that's for sure. New X-Files - I can't wait. Please, please, please remind me a week before X-Files starts that it's coming. So excited for it. And congrats to everyone on their new books! I can't believe I totally forgot about the Time Machine. I must be under the weather. I'm so ready for Stranger Things 2. I'm still working to finish my series, but not sure an end is near. Yeh for Stranger Things! I really want to binge-watch the first season again. Saw It Follows - pretty good although not sure I understand the ending. Also watched Better Watch Out - really liked it overall, although pretty twisted. I'm glad you decided to join the Monday's Music Moves Me crew on the dance floor for "freebie" picks. I'm so happy to learn Stranger Things season two is returning at the end of the month and that X-Files will be back in January. I was afraid the network would drop the ball on this reboot. Your mewsic group, Voyager, has a nice sound. It's not something I normally listen to but it's something I can enjoy in small doses. It's always a joy to hear what others find entertaining while brodening my mewsic understanding. Have a good day and thanks for rockin' with us! I think the New Releases are my favorite part of your blogs, Alex. I love adding new titles to my ever-growing TBR list. The late Geo. A. Romero's original Night of The Living Dead movie in which "a cast of stereotypical misfits" fights to survive a zombie apocalypse, was way ahead of its time, yet I agree it hasn't aged well in the 50 years since its release. Even so, on a very low budget and with crew members pulling double duty playing zombies, the film turned out pretty well, all things considered. I enjoyed listening to Voyager and hope they gain wider recognition. Cathy, they did good with rebooting the X-Files. Patricia, the authors appreciate that! Shady, it did kick off a whole new genre. Thanks for including JALAPENO CUPCAKE WENCH in the New Releases section. Congrats to others there on getting their book babies out into the world. The movies seem not to be highly recommended, so they are! X-files making a 11th season reentry, highly interesting. Congrats everyone on their new releases! The trivia is improbable for me. Yeah, a series sure can be a whole mixed bag when one gets to the end. Congrats to all on the releases. Two great trailers indeed. Hopefully X-Files is better than the last season. I'll be skipping out on creepy movies—I'm such a chicken. Congrats to the those with releases! I'm going to be picking up a few. And enjoy your time away! I rewatched American Werewolf in London the other day. I'd forgotten that Jenny Agutter of Logan's Run fame was in it. I haven't wrapped up a series to date, since I've been with my characters so long, and have created so many more generations. My original generation of Atlantic City characters, whom I created at not quite twelve years old, are now great-grandparents and grandparents, with the younger generations leading most of the stories. with special effects and CGI these days, the old horror flicks are darn cheesy. Perfect for the Riff guys. I am very psyched for Stranger Things 2 - told Ray we shall be binging. A fall breeze has blown through here. Happy Fall! Congrats to all the new release authors. I'm still trying to find 'Saturday the 14th' again. I'll probably pass on the scary movies! Congrats to all those with new realises. I don't think I've seen a show about spiders that wasn't cheesy. LOL. I'm looking forward to Stranger Things, and I think your summary of movies is pretty funny. "Too bad he didn't clean..." You could do a riff trax. Carrie-Anne, your story may never end. Michael, that would be awesome to do a RiffTrax movie! So much to be excited about. Stranger Things? Absolutely. X-Files? Yes please. And I definitely want to see that Night of the Living Dead Rifftrax. Sadly, it seems that most horror films from that era didn't age well. I'd disagree about Night of the Living Dead. I think the original holds up very well if you can dismiss the low budget and lack of CGI and other modern technical feats which personally I'm starting to grow weary of. I usually watch this film at least once a year and still think it's one of the greatest horror films ever made. Hey Alex. Congrats to all the authors with new releases. I'm finding the plotting of my current series hard. There are some things you kind of have to figure out beforehand. I can't imagine having to finish a series. I would probably cry. Night of the Living Dead was hilarious when I saw it couple of years ago although it was a fave when I originally saw it many moons ago. I think horror and science-fiction-fi rarely ages well because the technology for effects changes so quickly. Also, budgets for those movies were pretty dire back in the day. Congrats to all those who are releasing books this week! I'm looking forward to the next season of The X-Files. Congrats to Sandra on finishing her series! Gads, 11th season. I began watching X-Files when my hair was still dark. Ha. Congratulations to all the new releases. What a great month. The Bermuda Triangle isn't that real?... like people sail out there and disappear forever more. Stranger Things, yeah dude gets my vote, even the sounds rock. So Mulder and Scully are back, they should be good for a round of entertainment but seriously I had figured on that show ending, Alex. Have I wrapped up a series? Not yet. I do see an end in sight, in that I know what the next books are and what the last book is. Of course, that could all change as I start to write them and more characters come into play. They do seem to speak up a lot. The Bermuda Triangle, isn't that real?... like people sail out there and disappear forever more. Stranger Things, yeah dude gets my vote, even the sounds rock. Sometimes a movie can be so bad it's fun. The finishing the series post inspires me to take a look at several almost-finished novels. Hard to move between art and writing. Thanks for all the interesting info and the music! I'm at the beginning stages of writing a serie, so especially love this, "Writing “The End” is never truly the end, but another beginning." Going to remember when I reach 'the end,' that it's not a goodbye but a see you later. Scary old movies that might look bad? Try watching Jaws, The Blob and Invaders from Mars. It's amazingly hilarious how these movies actually made me jump in fright when I was younger. Yay for Stranger Things. I'm glad that all the shows I like are finally coming back. Of course this means that by February I'll be completely out of shows again. The worst part about writing a series was that I forgot what I'd already written and what people's names were. I remember not being able to sleep for a week after watching Nigh of the Living Dead. I think I was about eight and highly suggestible. Congratulations to everyone with new releases - and those who have finished series...WOW. I did have an idea for an anthology entry but the main protagonist went AWOL then turned up as the love interest in Book 3 of my mystery series - my NaNoWriMo attempt this year. Bryan, go see it - you'll enjoy it so much more. Lee, now that I've seen it again, there is some really bad acting as well. Shah, I can only think of a couple that have aged well. Birgit, maybe he will kill himself. Spacer Guy, they keep making decent episodes, we'll keep coming back. Lidy, Jaws still looks cool. And even with iffy shark effects, it's all in the lore of Bruce the Shark. I'm a big old baby when it comes to scary or creepy. Can't do even the mildest stuff. I'm so looking forward to the return of Stranger Things and X-Files. Congrats to all authors releasing new books! Ha, ha! Great reviews of the movies. I really liked the original X-Files on TV. Congratulations all the authors with new books. Have a super week. So looking forward to the next episode of Stranger Things. Hope it's just as good. A lot of great sounding stories there. I will have to make a note of them. So much to read so little time. Seem to have missed a blog of yours Alex, sorry. I don't watch X-Files but I can't wait for Stranger Things. I don't think even RiffTrax could get me to sit through those movies. Bleh. But finishing a series. Congrats to Sandra. Thanks again, everyone, and thanks again to Alex for hosting me! I wish all of you working on series the best of luck in finishing them! Arachnia? No way, not even with funny commentary. I don't like seeing small spiders let alone giant ones. I still close my eyes when they show up on a screen. Congratulations, Sandra, on finishing your series! Of course you're tired! I'll happily check out your books. I wish I could read word for word for word. Alas, I have a short attention span.. got any pointers for that? Yet there are somethings I can do if I really, really, really like it. Go figure. Hubby got laid off :( It's so sad cuz we were doing so well. Going to have to buckle down & find products to review that pay. I did just make $50 for one, but those are far & few in between. :( Okay, I put me in a depressed mood again. Maybe we can talk later. Hugs my friend have a great evening. Love this post and I use to really & truly love the X-Files. I suppose if I watched a few I'd get attached again. For now back to crocheting presents for Christmas. With 11 grandchildren and 2 (by then) great grandchildren I have LOTS to do! BIG HUGS & thank you for being you!!! Congrats on your "ironman" challenge - sounds like a huge job that will feel great when you finally complete it. I am surprised I only knew one of your movies. Christian Bale and Tae Diggs did a movie together? Now I'm very curious... headed over to Google. :) Have a wonderful day! That's a great story about finishing your series, Alex. Congratulations!! I am excited for Stranger Things and a total sucker for the X-Files even though I thought the last season ended a total mess. Still, I'll be there for another. Eeehehe. Sounds like my time of year. Not to mention I absolutely ADORE RiffTrax AND they are playing near me. Looks like I know what I'm doing after work next Wednesday. Congrats to the authors with new releases and Sandra for finishing her series. Dolly, I'll try to join in more often! Jo, you still made it. Dolly, really sorry to hear that! Rosey, you'll be surprised by the answer. Robert, you have to go! 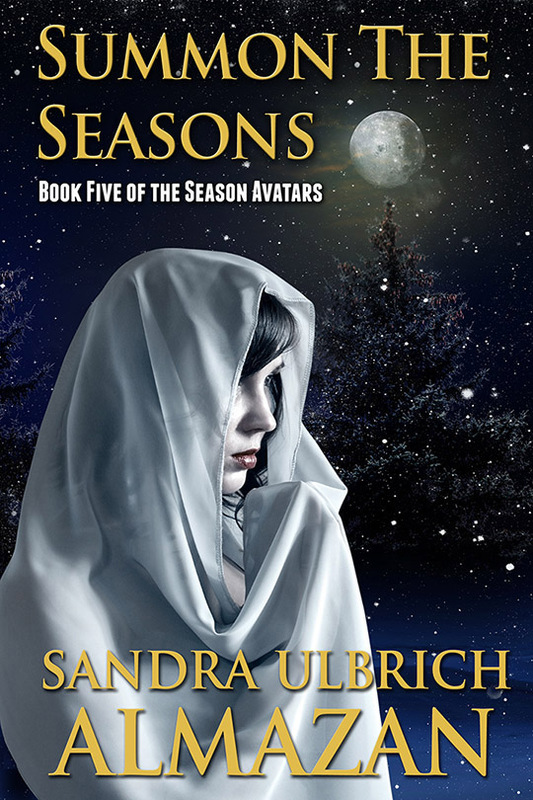 Summon the Seasons has a gorgeous cover. I'm excited for Stranger Things 2. I couldn't help but thing TWD and Neegan when they pulled out the bat though. :) Wonder if that's a little shout out to them??? Thanks for the reminder of those cheesy movies. I saw "Arachnia" and thought it was a riot. I saw the original "When a Stranger Calls" but can't remember if I saw "When a Stranger Calls Back" -- although I think I did. I might have to check it out (again). And I absolutely must see "Night of the Living Dead" -- hard to believe that I've never seen the whole movie, just snippets. Where have I been??! Thanks for the introduction to Voyager. They have a powerful, rich sound. Good video too. I am looking forward to the X-Files season. I haven't seen Stranger Things but I've been hearing good things about it. It's on my Netflix To-See list -- which gets longer by the minute! I have one of JH Montcrief's City of Ghosts books on my Kindle but haven't had a chance to start it yet. I'm in the middle of reading Suspect by Robert Crais. It's about an LAPD K-9 officer and his German shepherd. It's really good so far. Voyager is a great band! Was that a woman playing the bass guitar? Oh, come on Night of the Living Dead is still a great movie. Sure it may be dated, but it broke incredible ground, and it's still enjoyable. I love the remake, directed by Tom Savini, too. Hi, Alex! I don't do zombie type movies. I saw the original "Night of the Living Dead" when it finally made it to Wolfville after its release. A friend of mine was killed in a car accident while I was at the movie. I had just talked with her in the lounge on our floor at residence. She was ironing clothes for her date that night. I can't commit to co-hosting on November first ~ I'm still waiting on scheduling cataract surgery and other appointments after my surgery is scheduled. However, if I am able to be on my computer that day I will go around and visit lots of people, especially the newbies. Ooh, X Files looks good! I love old scary movies. Our local theater is having a marathon of them over the next week--the original Shining, Nightmare on Elm Street, all of them. I can't wait. I've never seen Rifftrax. I doesn't get over here in Spain. Sadly, Netflix Spain doesn't carry the new MST3K either! Michele, you might need RiffTrax to get through When a Stranger Calls Back. Sherry, no, that was a guy, but a girl does play drums. CD, that one was pretty good. I know this won't come as a shock, but I don't really like scary movies. Ha! I didn't realize you'd published 5 books! Alex, that's amazing. A wonderful accomplishment. Congratulations!!! I love the idea of revisiting the world you've already created with grown-up characters and drop-ins from beloved characters. As you say, there really is no such thing as good-bye; just until later! Lol Alex. I'd say you're definitely right about that. I didn't even know about RiffTrax until now so you have converted me. I totally remember the hilarious Mystery Science Theater gang. Funny stuff. And I checked on amazon for the rifftrax version of When a Stranger Calls Back. The sample there sold me. Thanks for turning me on to it! I have to check out the Roadhouse one. Have you seen/heard that one?? Bermuda Triangle: I avoid creepy doll movies. FYI: Blade Runner--Neither the HH or I understood the significance of focusing on Gosling's ear at the end of the movie. Can you enlighten me? Congratulations on closing up a series, Sandra! And I saw a couple of Rifftrax Night of the Living Deads on Amazon Prime. I really have to try one. Can't believe October is more than half over! Thanks for the info. Happy weekend! Congrats to everyone on their new releases! X-Files looks good! I did love the original one! Thanks for the scary film list! The cupcake book cover drew my attention. I was thinking, oooh something sweet and spicy in a cupcake, I love the idea! Then I saw the title, lol. ;) I guess my mind is on food right now, ha! :) Have a good weekend! I'm ready for some scary movies and/or books. I finished Stephen King's Sleeping Beauties and it was good, but not as amazing as earlier works. You know, I completely forgot about "X-Files." Then, I saw the trailer and realized it's coming back again. It's like finding a treasure. You bet I'm stoked. Sandra, not sure I know either. Erika, I saw that was on recently. Bad movie! Night of the Living Dead still scares the crap out of me. I'll never watch it again. Yay for more Stranger Things and X Files. Hubby is excited for Stranger Things. He's bugging me to watch season 1 so we can watch it together, but I just don't feel like it. i have too much writing to get done. I can cohost next month if you still need help. I have not seen Night of the Living Dead in a long time. I can imagine that it would seem very different watching it today. :) I don't remember seeing When a Stranger Calls Back- but the first movie made me scared for sure. Night of the Living Dead is a must! I can't wait for stranger things and Xfiles. Exciting new releases. Congrats to everyone. Great post, Sandra! Thank you. Maurice, thanks, I'll check it out. Jess, the sequel probably won't scare you much. Alana, glad I could expose you to whole new world of music. I'm willing to bet if writing this series hadn't taken so long, your spinoff series would be completely different. Perhaps the characters wouldn't have grown as much and had their own children? Or maybe you wouldn't have had as much success as you have had? Either way, congrats on finishing your series. Five books is a lot of writing, rewriting, editing, and probably even more that I don't even know goes into book publishing! Hopefully, your spinoff comes together as easily(?) as the original series did. As for picking up some new books, indeed I am - two of my favorite authors released giant books in October and November, so I'm reading one and waiting for another. Trouble is I need to reread the ones that came before in the series before reading the new ones... and that amounts to thousands of pages. Oi. I remember when they first came on, lots of people believed they wouldn't last one season. Oh, my. Enjoy your time offline. We are watching, the gifted and Inhumans. Blade Runner is on our watch list. I wish the studios would show the original first and then the remake, how fun would that be! Boy I sure do wish we had Netflix. Our daughter and her hubby are hooked on Stranger Things. Alex you know I love campy corny and oh so silly syfy, so I just put Arachnia on my list ( wink). Biggest hugs coming your way my friend!